Fabulous baby, toddler and family friendly converted barn and cosy cottage set in 3 acres of stunning countryside with own heated pool and excellent on site facilities for all ages. Lots of local activities within easy reach. 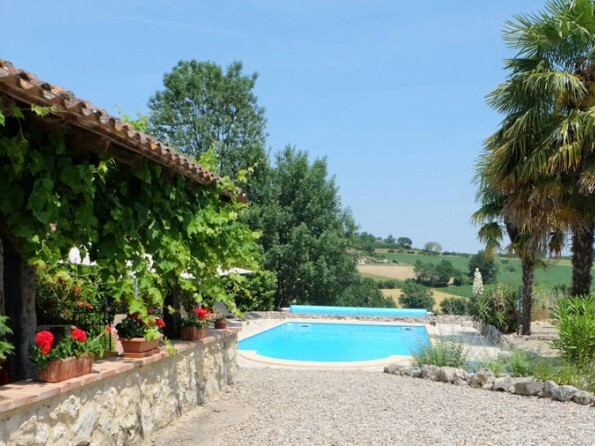 Rural South West France at it's very best! Tranquil and rural yet just a few minutes from villages, restaurants and river beaches, Cabanes is a wonderful place to completely unwind and get away from it all. Grownups will love the privacy, the comfortable rustic decor, the mature gardens and the stunning views, and little ones will adore the pool, the numerous play areas and the resident animals. 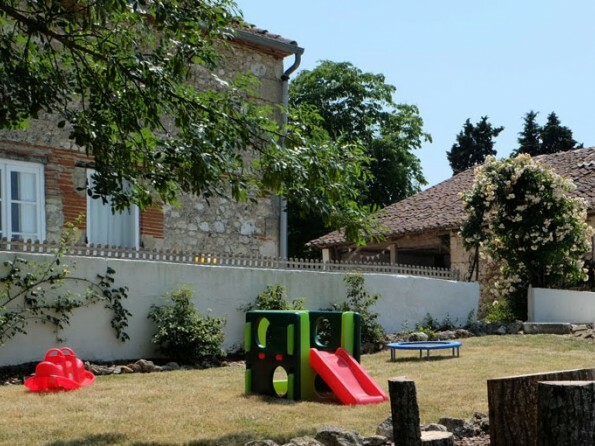 You could never be bored on-site, with sun terraces, extensive gardens and a host of on site equipment for all ages to enjoy, but it would be a great shame not to venture out and explore markets, vineyards, chateaux and the delightful Aquitaine landscape. What’s not to love about a holiday that keeps everyone happy? 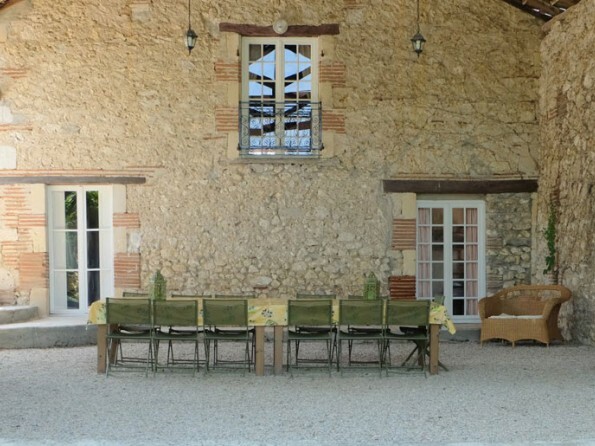 The property is situated in the Lot-et-Garonne region of France and it is ideally located for exploring everything the area has to offer. Quiet country lanes around the house make walking and cycling a pleasure and just 3km away you will find the River Lot, where you can picnic, paddle, swim, canoe, boat and fish to your heart’s content. 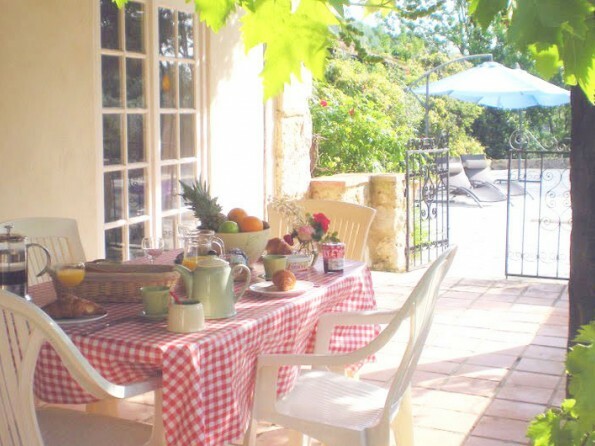 The small villages of Le Temple Sur Lot and Castelmoron, where there is a good selection of boulangeries, bars and restaurants, are a short drive away and within the local area there are also markets, vineyards and Michelin-starred establishments to savour. Keep children happy with trips to water parks, caves, castles, tennis courts, children's farms and theme parks. 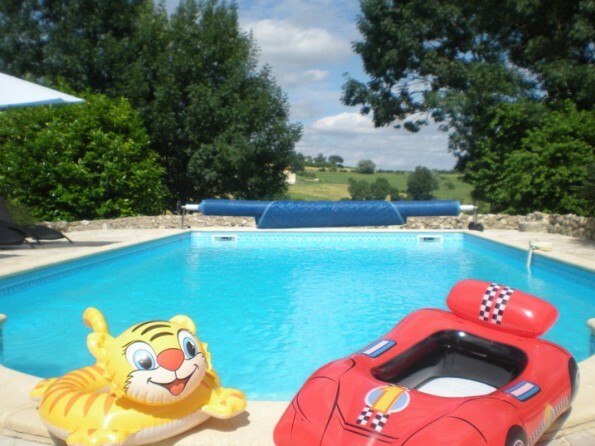 Bergerac airport is just 1 hour/70km from the house. 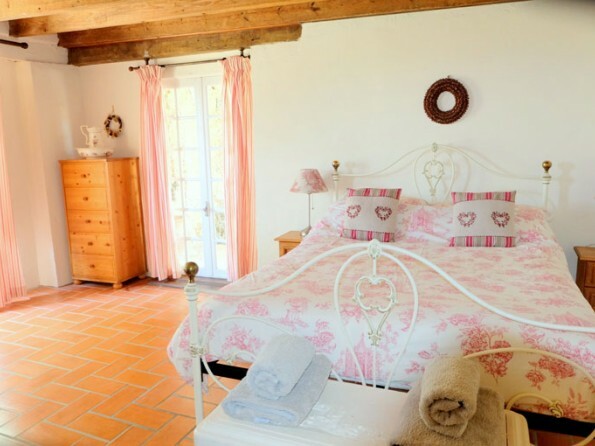 The accommodation comprises a main house with six bedrooms (two king, one quad with double and bunks, one twin, one bunk and one single) and a separate little cottage that sleeps two. 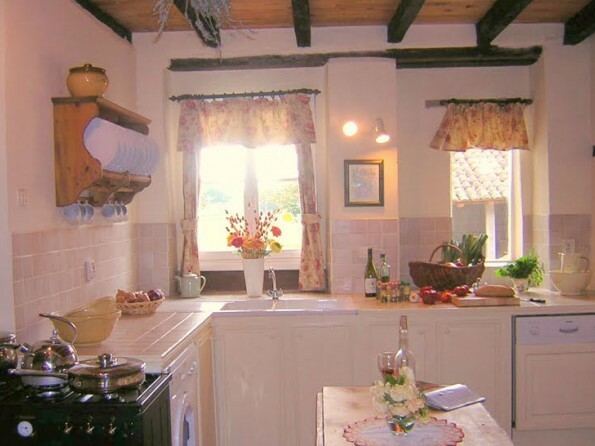 The main barn conversion also has four bathrooms (one of which has a bath), an extremely well equipped kitchen and a vast open plan living, dining and entertainment area with all the mod cons. 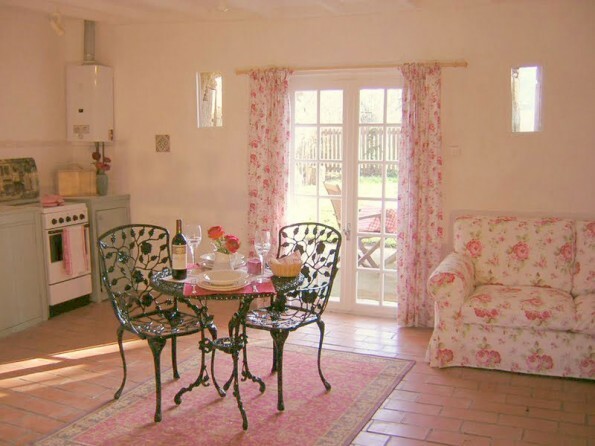 The cottage has a studio-style layout. 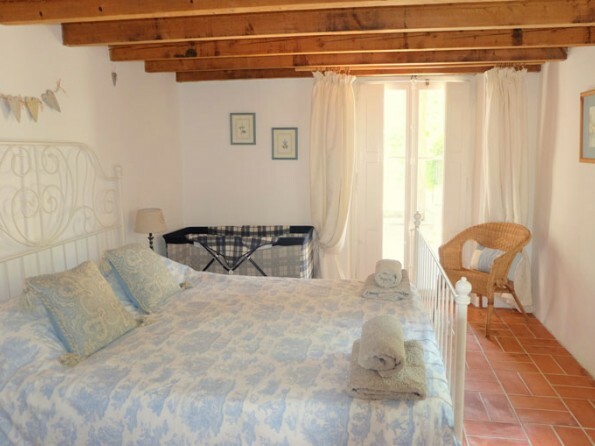 Smaller groups can choose the Petite Cabanes option, with the guests' choice of four of the seven bedrooms i.e. doubles, twins, bunks, singles, agreed and made-up in advance, with the other bedrooms available only if required and at an extra cost. This reduced rate is only available during May, Jun, Sep and Oct.
Around the house there are three acres of gardens made up of lawns, terraces with loungers and dining furniture, a heated pool and an enclosed children’s play area. There is a huge quantity of outdoor toys available and there are benches dotted around the gardens for when you want to escape. The owners live on site and are on hand if you need them but more or less invisible if you don’t. 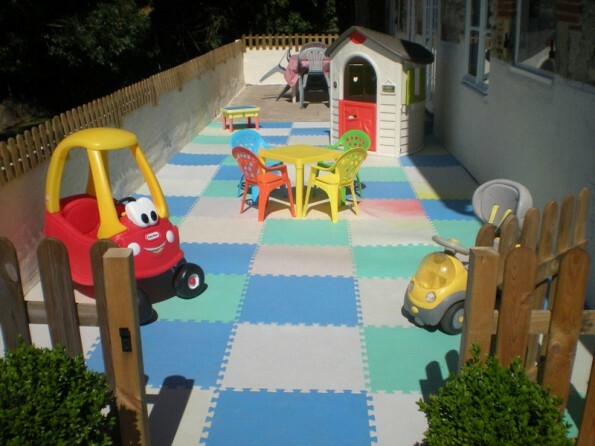 Both inside and out you will find everything you could want to keep children safe and entertained. Spa treatments are available on site if required, as are babysitting and bookable oven ready meals for your arrival. Check in time is 5pm and check out is 10am. A deposit of 30% is required and the balance is due 84 days prior to arrival. Wheelchair access to some parts of the accommodation.